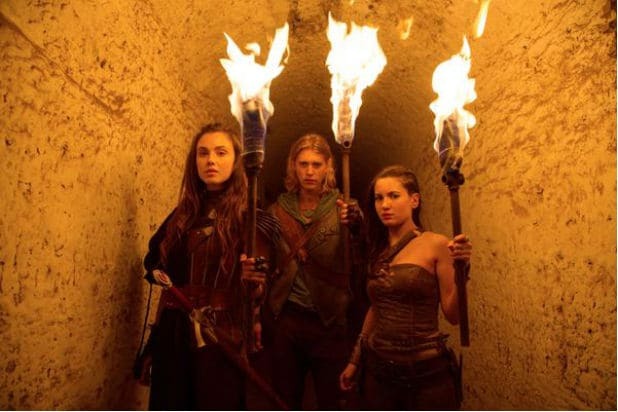 MTV announced the premiere date of the upcoming series “The Shannara Chronicles” during a panel at San Diego Comic-Con on Friday. The epic fantasy series based on the series of Terry Brooks novels is set to debut January 2016. Brooks, who is one of the series’ executive producers, appeared on the panel along with cast members Ivana Baquero, Manu Bennett, Austin Butler, Poppy Drayton and John Rhys-Davies. Executive Producers Al Gough and Miles Millar also attended. “If this show doesn’t succeed, I don’t know what will. It is magnificent,” Rhys-Davies said during the panel. Gough and Miles Millar (“Spider-Man 2,” “Smallville”) serve as the show runners of “The Shannara Chronicles.” Jon Favreau (“Iron Man”), Jonathan Liebesman (“Teenage Mutant Ninja Turtles”), Dan Farah and Gene Stein also serve as executive producers with Brooks. Jonathan Liebesman directed the first two episodes. MTV is producing with Sonar Entertainment.